ProjectHuddle comes equipped with a variety of customizable features that allow you to change the look of the projects to match your brand. Note: Be sure to Save the page after making any changes. 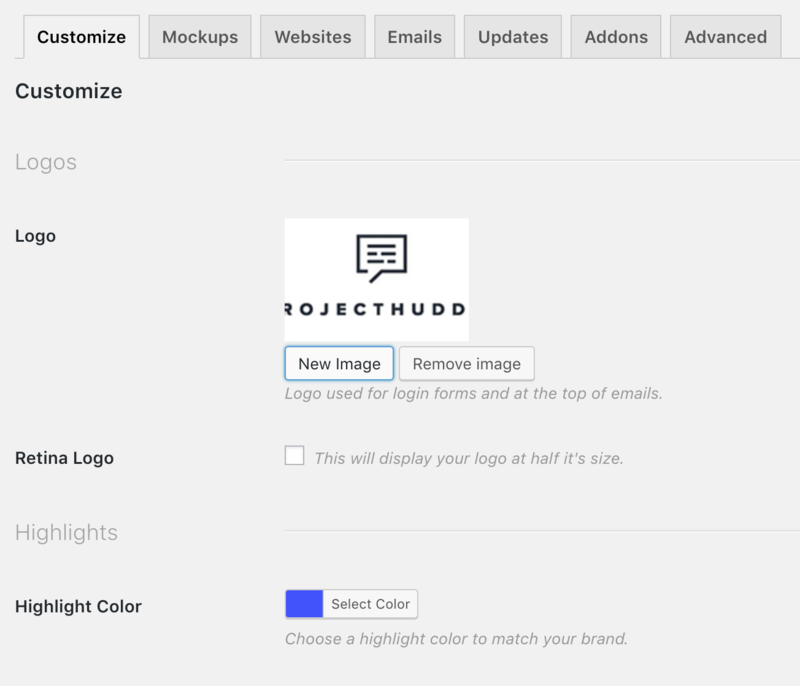 Under Settings > Customize: Add your company logo, which will appear on login forms and at the top of emails. 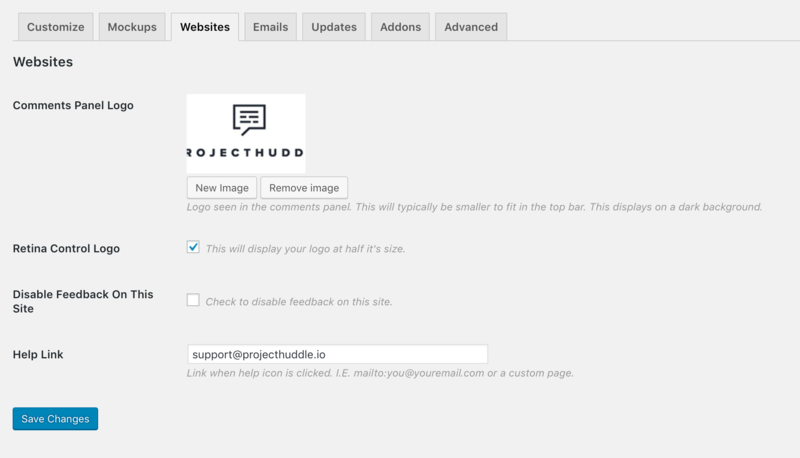 After you add a logo, emails and login forms will now carry your brand image! You can also select a highlight color, which appears throughout the app and client experience. Under Settings > Mockups you will be able to access customization settings specifically for Mockup projects. 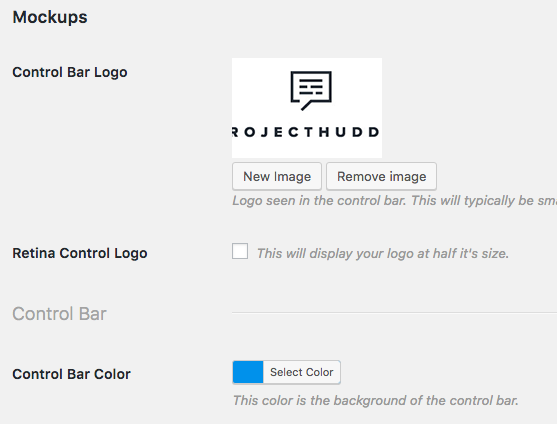 Upload a control bar logo, adjust the control bar color to match your brand. You can also change a variety of background and highlight colors for the image tray, comments panel, project background and approval button under this tab. 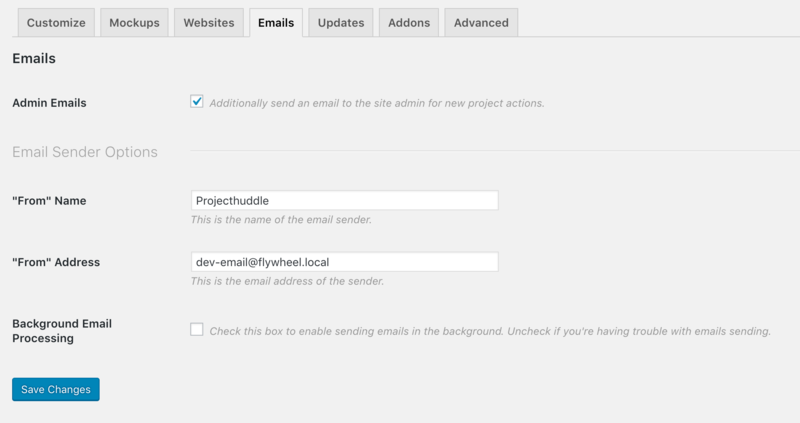 Under Settings > Emails adjust the email sender options like the name and email of who the emails are received from.